Avro Arrow replica could take to the skies after decades of work | We Love Canada eh! It’s been nearly 60 years since Canada’s iconic Avro Arrow supersonic interceptor jet program was cancelled and scrapped. And though the jets never flew apart from their flight tests, the Arrow’s legacy continues to inspire flight enthusiasts across the country. 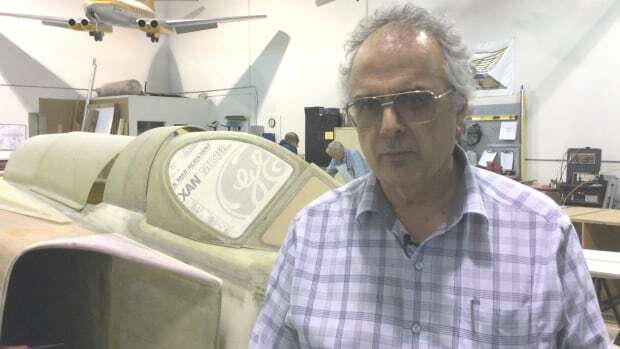 Over the years, people have built replicas for display purposes, but a group of volunteers in Calgary have much higher hopes for their model — they’re building a 0.6-scale replica of the famous jet that could one day take flight. “The Arrow was a unique achievement in technology,” said Paul Gies, the president of the A.V. Roe Aviation Museum Association. Hailed for the advanced technology it represented, the program was halted suddenly on Feb. 20, 1959 by Conservative Prime Minister John Diefenbaker. The program, supported by his Liberal predecessor, Louis St. Laurent, was expected to have a final cost of $1 billion and was deemed too expensive. All existing prototypes were destroyed.